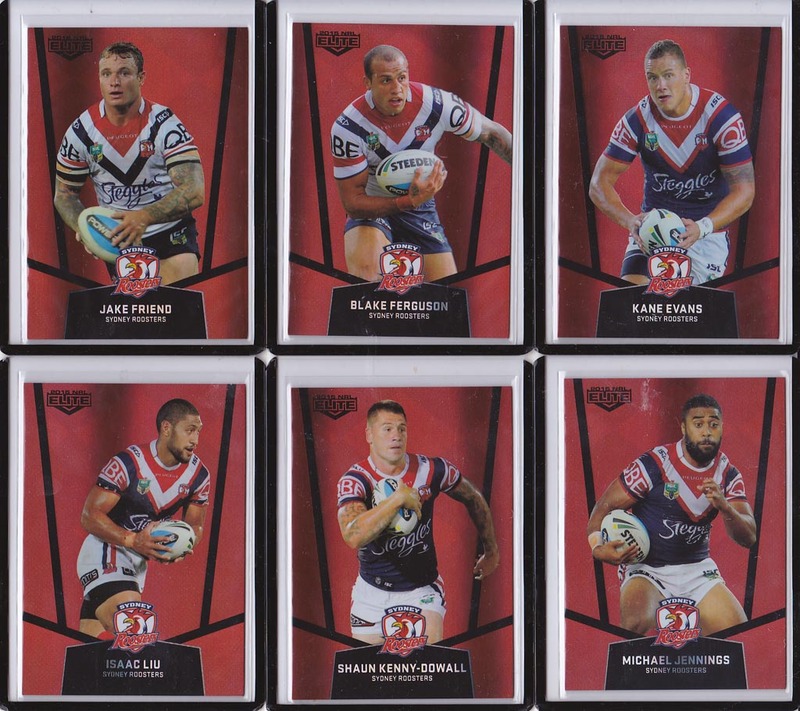 The mojo packs are an entirely new concept from ESP for the 2015 NRL Elite series. In the mojo pack that is inserted at a ratio of 1 pack of cards for every 10 boxes or 1 case. The mojo packs consist of a 9 card red parallel team set that are all individually numbered out of 40. Each card in the team set will have the same number. These are an extremely limited parallel release that will most likely appreciate in value. 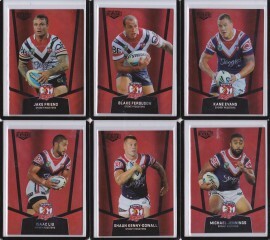 This team set includes the 9 red parallel Roosters cards which are all numbered 39/40.